Music director Alan Gilbert and the New York Philharmonic return for their 14th summer residency at Bravo! 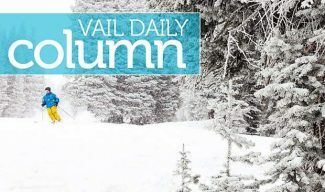 Vail, with concerts beginning Friday, July 22. All concerts take place at the Gerald R. Ford Amphitheater in Vail. View the full repertoire for each concert and purchase tickets at bravovail.org. The New York Philharmonic, under the leadership of music director Alan Gilbert, returns to Bravo! 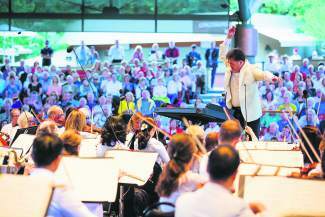 Vail for its 14th annual summer residency, presenting a lineup that ranges from lighthearted dance fare and timeless film scores to operatic duets and symphonic masterworks. For its second program, on Saturday, the Philharmonic presents a screening of Charlie Chaplin’s 1931 silent film “City Lights,” accompanied by a live performance of Chaplin’s score — the first one he composed — which conductor and silent-film expert Timothy Brock digitally restored on commission from the Chaplin estate. The concert on Thursday begins with guest conductor Deirdre Baker leading the orchestra in Johann Strauss Sr.’s invigorating, folk tune-infused “Radetzky March.” Gilbert then leads the orchestra in Prokofiev’s lyrical Violin Concerto No. 1, performed by violinist Leila Josefowicz, winner of a 1994 Avery Fisher Career Grant and a 2008 MacArthur “Genius” Grant. The program concludes with a performance of Beethoven’s Symphony No. 3, “Eroica.” Conceived as a passionate paean to the ideals of democracy and political freedom, this groundbreaking piece — which was inspired by Napoleon but then dedicated “to the memory of a great man” after Napoleon crowned himself emperor of the French — was unprecedented in its length and also its scope, both musically and emotionally. “Die Walkure” is part of the composer’s four-opera magnum opus “Der Ring des Nibelungen,” commonly referred to as the Ring Cycle. Written over the course of 26 years, the Ring immerses listeners in some of the most dramatic music making and storytelling in history, drawing inspiration from Norse mythology and its tale of an all-powerful magic ring. The performance of the Final Scene of Act III of “Die Walkure” features soprano Heidi Melton and bass-baritone Eric Owens, the Philharmonic’s 2015-’16 artist-in-residence.